When I was a teenager, I loved Family Guy. I’m not proud of this. In fact, as soon as the technology becomes available, I will erase the memory. Family Guy now has a well-worn reputation as one of the most sexist, racist, and generally stupid things on television. As I look back on my television viewing past, I’m forced to wonder: Has Family Guy gotten worse, or have I gotten better? This article is not about answering that question. No, this article is about answering a much less important one. Welcome to my grand experiment. Recently, I encountered Family Guy again, on the bus. I happened to spy someone watching it on their smartphone, and after I silently made fun of them for watching Family Guy on the bus where other people can see them, I started surreptitiously watching along. I didn’t have anything else to do. Watching Seth MacFarlane’s shambling monster without sound is a strange experience. It reminded me of Steven Soderbergh’s silent re-cut of Raiders of the Lost Ark, which Soderbergh made to draw attention to the careful staging and framing of Spielberg’s classic. You can learn a lot about film from its visuals alone: any good film teacher will tell you about the essential communicative power of shooting a film well, and the way that a good shot can carry meaning all by itself. 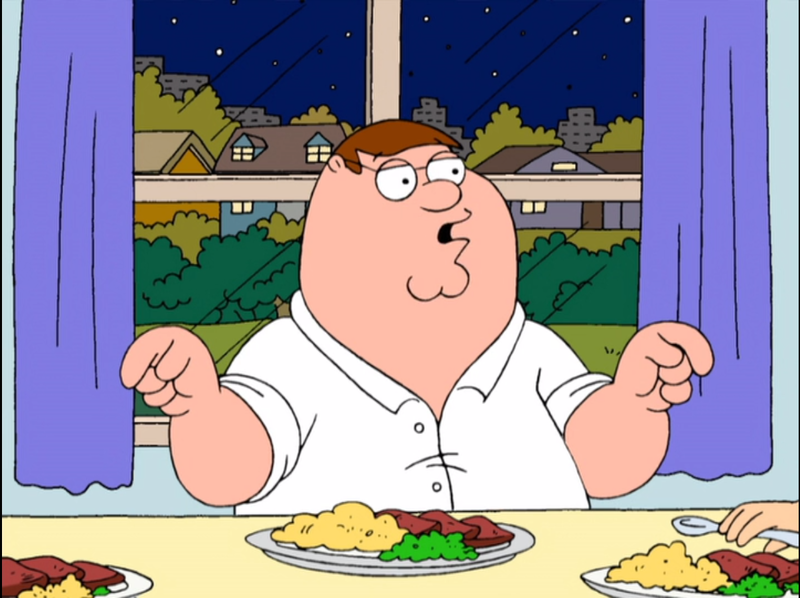 In Soderbergh’s spirit, I started thinking about the visual composition of Family Guy. I made some preliminary notes to that effect, which you can find on Twitter. Entertaining myself on the bus by watching family guy on someone else’s phone from afar and critiquing the visual composition. @jakemuncy The show only feels quick because of constant cuts and fast dialogue. But visually it’s basically a PowerPoint. Notice I said preliminary. My colleague Nick Hanover suggested I take my analysis even further, and bring it to all of our beautiful readers. I assented, because I am a foolish man. 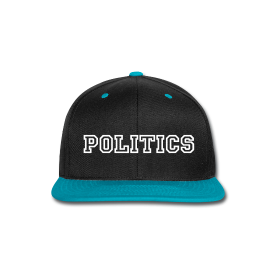 Everything that comes from this, however, is on Nick’s head. What follows is the result of my deeper analysis, brought to you by Loser City, our unofficial corporate sponsor Netflix, the fine people at the Fox Network, and everything I remember about the scientific method from ninth grade biology. To gather data for my analysis, I will watch Family Guy on mute. In the interest of gathering a broad amount of information while also retaining my sanity, I have opted to watch two (2) episodes of Family Guy on Netflix streaming. Additionally, in a concession of tentative respect to my younger self, I am choosing two episodes from different periods in Family Guy’s history, one from its early seasons, the ones diehards (are there diehards? is there Family Guy tumblr?) would be most likely to defend as having quality, the ones I remember fondly in my weaker moments. The second will be from the most recent season listed on Netflix, Season 12, well after the series has jumped any and all sharks known to science. I’m not sure if that is the most recent season of Family Guy, and I refuse to look it up, because that is the kind of knowledge that drives a man to drink. Thus, my two episodes, running a total of 44 minutes of silent television, will be SE3E14, “Let’s Go to the Hop,” and SE12E4, “A Fistful of Meg.” I have seen the episode from season 3 before, but I scarcely remember it, so I don’t think that should be a conflict in any way. A good experiment, however, requires a control group, so I’ve decided to supplement this with a viewing of a similar show that I know is of high quality. Like all American critics, I’m turning to The Simpsons for this one. I will watch an episode from its fourth season, arguably its best, and arguably the only one I own on DVD: SE4E4, “Lisa the Beauty Queen.” Initially, I wanted to watch “A Streetcar Named Marge,” one of my all-time favorites, but considering as I remember every single plot beat in clear detail, it will not work well for our purposes. During this observation, I will take notes, mental and written, of the visual composition as I understand it, making a note of cut technique, staging, color, and the overall sense of place and motion. All good science experiments require a hypothesis that is not only made in good faith but is specific and direct enough to be testable. We are not about pseudoscience at Loser City. 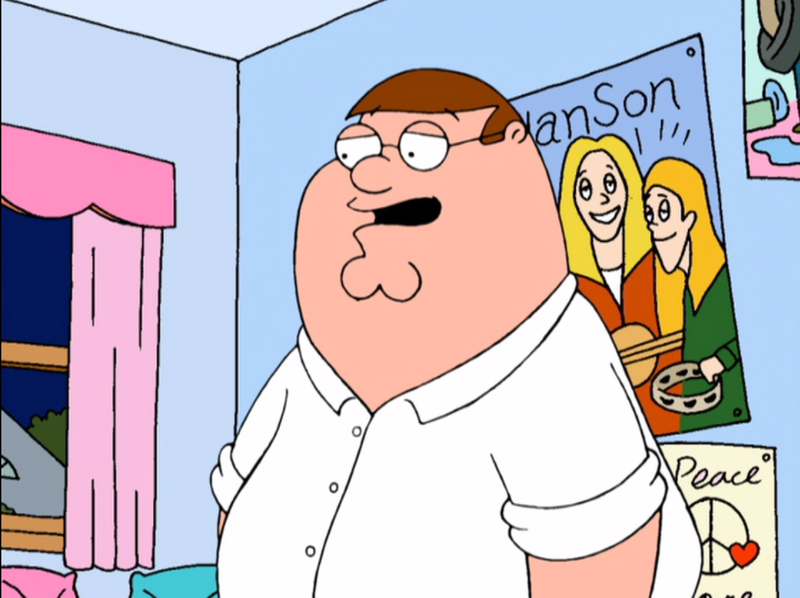 As such, I predict that Family Guy will consistently display the poor cinematography seen during my preliminary tests, as established in my tweets on the subject, with consistent poor visual pacing, color consistency, and flow. I would like to believe that the older Family Guy will be better, but it’s a cruel world, so I’m going to predict that there will be no noticeable difference between the new and the old. In contrast, I expect The Simpsons to succeed in every way that Family Guy fails. Typically, this is the part where an experimenter would note how the procedures themselves went, if there were any mitigating factors to consider with the results, and generally insert anything that doesn’t fit elsewhere. (I mean, I think. Again, ninth grade level science education.) Instead, I’m going to use it to complain. I greatly underestimated the boredom of watching animated sitcoms without sound. This truly is a genre that relies on sound to tell its story. Dialogue is just about everything. I knew that, but I’m not sure I really got it. Even with the sound on, watching an episode of Family Guy feels a bit like trying to run a marathon in a mud pit. With it off, though? This was the longest 44 minutes of my life. The 22 minutes of The Simpsons was better, but not nearly as much better as I had hoped. That’s an hour of my life I’m never getting back, and I blame every single one of you. As it turns out, I was two-thirds correct. Let’s start with the episode of Family Guy from fairly early in its run, and let’s say that it was, well, not too bad. My bus observations left me with the fear that the series would be nearly incoherent from a visual perspective, but that wasn’t quite the case with “Let’s Go to the Hop.” It was mostly just boring. The rhythm of the episode was punctuated by static establishing shots followed by mostly static dialogue scenes, shot from mid-field camera angles, as if everyone was standing on a stage. Characters tend to simply occupy left and right sides of the foreground, speaking, gesturing every now and again. This is interspersed with Family Guy’s typical cutaway gags, which were sometimes visually creative, but still never really varied the use of perspective or indulged in anything quite like motion. I wrote in my notes that the visual sensation here is of things almost happening, scenes that feel on the cusp of some sort of action, but then they cut away to some stupid Breakfast Club reference and any hint of momentum is ruined. Scenes tend to cut in at the end of implied actions, like the way violence is always shown off-screen in Greek tragedy, and probably for the same reason: to save on the effects budget. I also noted that this show overuses establishing shots to the point of absurdity, and has an incredibly limited settings, mostly just jumping back from Meg’s school to the family’s house and back again, meaning that a disturbingly large portion of this episode was the same two static landscape shots repeated over and over again. But it wasn’t all bad. There was a mediocre dance sequence, and a few jokes that relied on visual humor that weren’t terrible. It was okay, and the plot was fairly coherent, even without sound, relying on an easy to follow story about kids licking toads as a way to get high and Peter’s inane quest to rid the high school of toads by pretending to be a high school student himself. There was a clear three-act structure, and the second and third act both had some sort of setpiece, which helped to vary up the visuals a bit (but only a bit). It was okay. Their faces are Idaho potatoes. “A Fistful of Meg” opens with Peter sitting on his bed, looking straight ahead. He sits there, perfectly still, for a second. Another. Another. Just as we realize we are being mocked for daring to be here, the scene cuts to a cutaway gag that I’ve already forgotten twenty-four hours later. Soon after, it cuts back to Peter, who again sits still for five seconds. 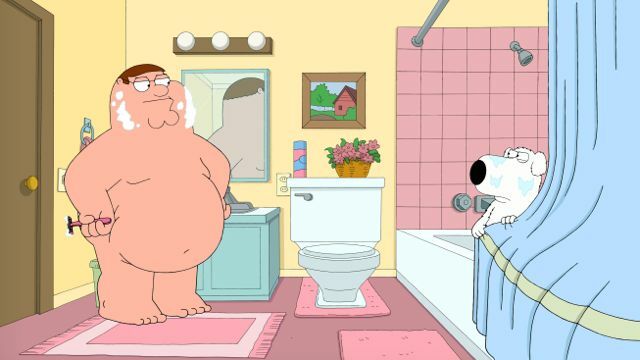 Brian walks into the frame, talks to Peter, Peter talks back without moving, then he, inexplicably, takes off his clothes. Then Brian walks off stage. This is what Family Guy has become in its later days: a middle school theater production reinterpreted in the hallowed medium of animation. It is incredibly static, stilted in its staging and acting in a way that I didn’t actually believe you could pull off in a cartoon. All of the lazy qualities of the earlier episode have been exaggerated to the point of self parody and then exaggerated further. There’s an establishing shot before almost every scene, whether it needs it or not. All dialogue is shot from the same middle view, left characters talking to right characters, the camera never doing anything more excitable than panning listlessly to the left. This is, frankly, one of the more visually creative scenes. And there are some really egregious visual sins here. An intercom dialogue scene is shot with a five-second close up of a speaker. It’s just one frame, repeated. Later, there’s a cutaway gag that references Punch Out that somehow manages to look worse than the 8-bit game it’s based on. In another scene, a dinner scene, Peter has been replaced inexplicably with a giant trash heap. I think that last one was supposed to be a joke, but I rank it among its other video transgressions. This episode also features some of the most disgusting and tasteless images I’ve ever seen in animation, including a scene where Chris (is that the son’s name? I used to know that. I used to know many things, before “A Fistful of Meg”) literally rips the skin off his back and hands it to his sister. I gagged. The episode ended with Brian removing his own skin like a onesie. Why any monster would want to animate this, I do not know. Chris (???) clawed his own eyes out. This seems as apt a metaphor as any. All in all, this was a mixed bag. Family Guy ended up being somewhat more coherent than I initially gave it credit for, but what it had in basic coherence it lost in utter laziness, repeating shots and framings every chance it could. It’s an increasingly embarrassing middle school play, one where the children are all reciting their lines while standing perfectly still on stage, trying not to lock their knees and pass out. Most of them succeed. And as the show’s run has increased, the animation and cinematography seems to have grown more and more lazy and static. South Park once positied that Family Guy is written by manatees playing Taboo with beach balls. Let me add that it is animated by a simple copy-paste function. It is also an increasingly grotesque and cruel show. Watching late-season Family Guy without sound was an experience of alternating confusion and alienation, a journey into the dark center of someone’s Robitussin-overdose hallucinations, with inexplicable violence, Dadaist repetition, and a trash can where a heart should be. Theater critic and playwright Antonin Artaud posited an idea he called “the Theater of Cruelty,” built on the idea that theater can be a place to work out the confusing barbarism and alienated hatred that runs underneath the human experience. The ideal play he described as a real-time dramatization of the sacking of Jerusalem by the Babylonians, ritualized and made into totemic madness. In a pinch, the late Artaud would have been happy to hear that he could just throw Family Guy on and turn the volume all the way down.